It's a water falls where water comes out from the rock wall with no river above it. Located at Sitio Dulao, Upper Dado, Alamada, North Cotabato is a breathtaking curtain-like waterfalls that springs from the rocks. 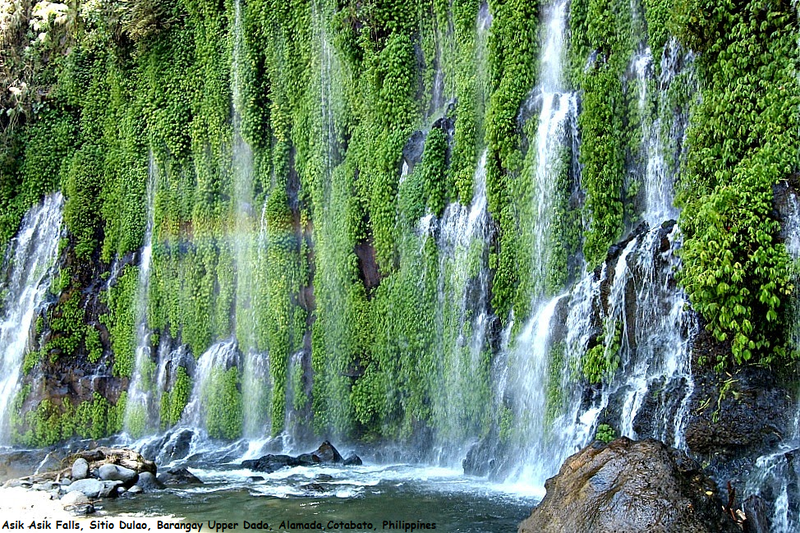 The way to Asik-Asik Waterfalls is extremely so difficult. From Dado, Alamada, a single motorcycle (habal-habal) took us to the registration area. But my tender heart swells upon seeing how the motorcycle drivers drove so slowly trying to protect their passengers from the big rocks on the road. After the 20 to 30 minute ride (just an estimate) you can reach the registration area and started to step down towards the amazing Asik-Asik Falls.